BioChain Inc. was founded in 1994, and is headquartered in the San Francisco bay area. BioChain is the world leader in high quality processed bio-sample products and analysis services used in advancing translational medicine, companion diagnostics, and clinical product research and development. 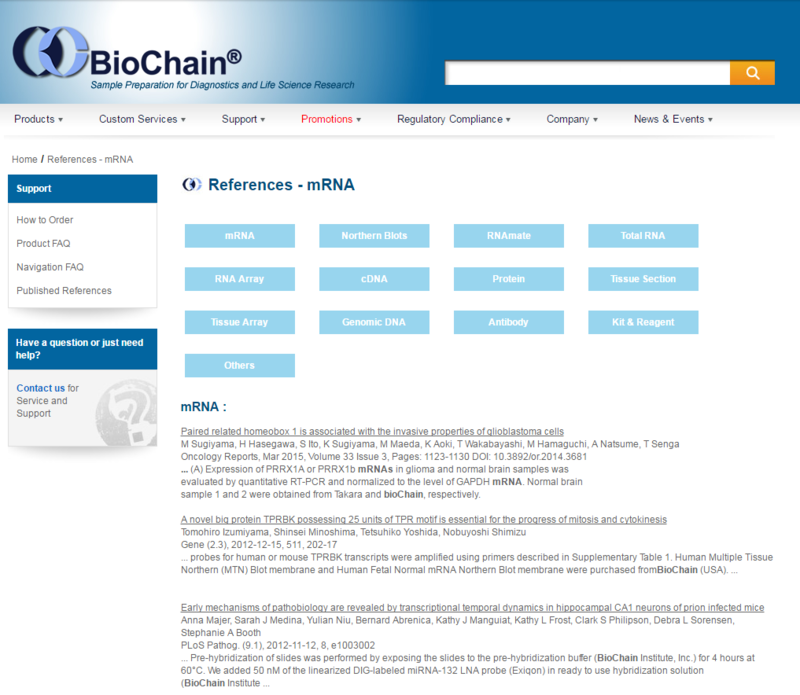 BioChain used to compile their citations internally. They find it very tedious and time consuming, and found out later that they missed 60% of their publications. We help them to compile a comprehensive list of their publications with detailed information. They categorized the citations and listed them in their website.